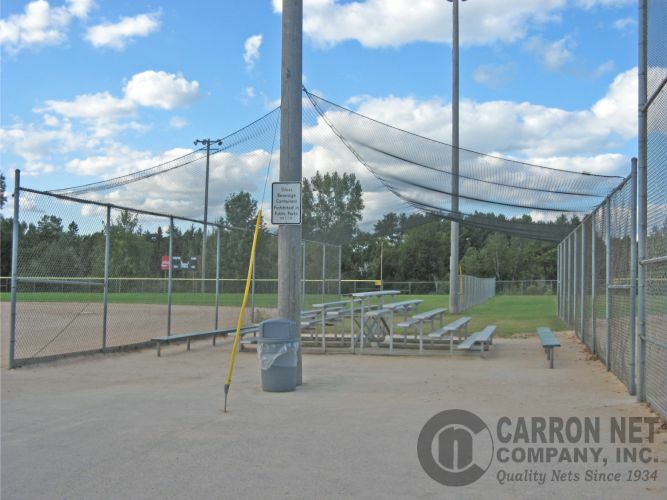 Helps catch high overhead foul balls above chain link backstops and over spectator areas. 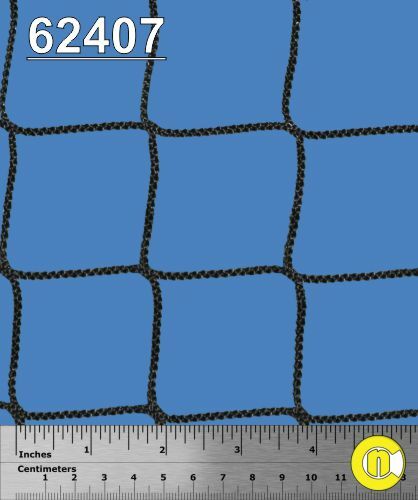 Weather resistant and UV stabilized knotless nylon has 1 3/4" square mesh size. Complete with tape binding on outside edges of each piece for added strength. Made-to-order to the size and shape you want. 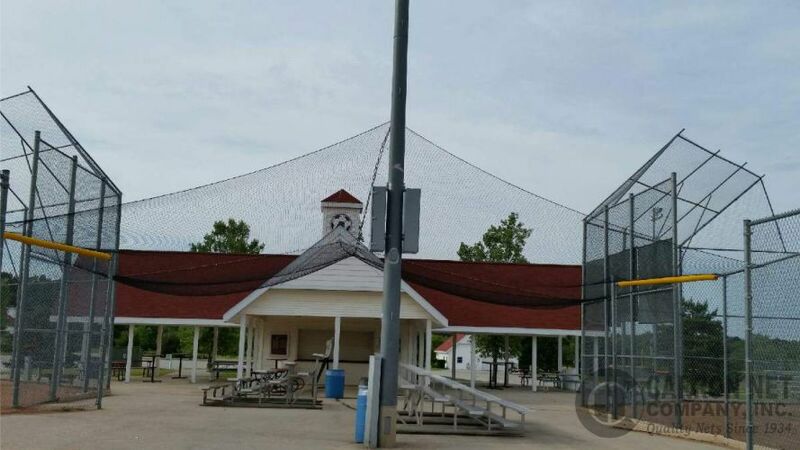 Use for baseball or softball. 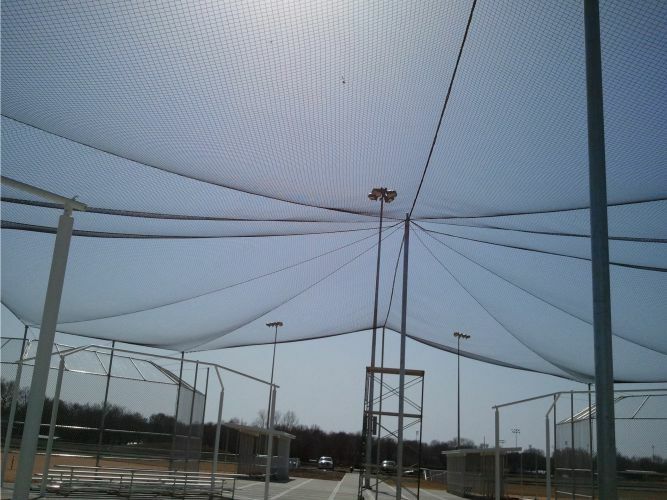 *Nets for backstops, batting cages, and barrier nets are also available. Alternate net styles may also be appropriate for your application. See our selector guide for additional options. ALL CARRON OVERHEAD FOUL BALL NETS ARE MADE TO ORDER. Click below for more information or request a quote. Frequently used for: Baseball and softball fields above backstops and outfield fences and along sidelines.